Did you know that the number of jobs the average person has in their lifetime has gone up? According to a study by the Labor Dept, the average person no longer has 7 jobs in a lifetime, but 15! 15 jobs in one lifetime! And, did you know that he average millionaire has about 7 revenue streams? So, for you, our creative entrepreneurial friend, who has more than one business, you are well on your way to your lifetime achievement and that retirement house on Lake Tahoe! And if you want to get there before you are 80, you need to condense your efforts to be most effective. So, when you work on the SEO for one of your businesses, why not have it do double duty? One way to make running multiple small businesses possible and less stressful, is by having all of your businesses on one website. If you have 2 businesses, or even 3 or more, you can fit them all onto one website for your online presence to explode. Then all the work you do – the search engine optimization, the blog writing, the photo taking, the business card distributing – all can benefit you, and all your companies, on 1 website. Our friend, Jodie Brim, knew from an early age she had one strong passion -> photography. After finding a wedding photographer for her own wedding, Jodie knew how to turn her passion for her hobby into a business. After 6 years in the wedding photography industry, Jodie felt a nudge to do more. It was a complete 180 from her current small business, but still an offshoot of it. As a photographer in the creative industry in North Carolina, it was actually a very easy pivot into her new business. Jodie saw a need amongst her fellow small business owners to have strong brand photography. 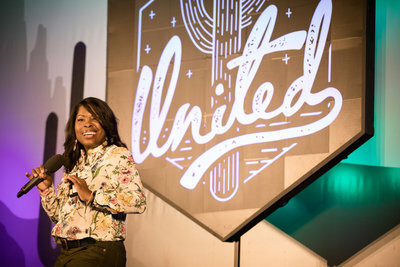 She knew her next business was going to be to encourage her fellow small business owners to stand confidently in the spotlight. What does that translate into? Jodie decided to start a new brand photography business, while maintaining her wedding photography business. Would that mean the last 6 years of refining her personal brand and clientele would evaporate? Or could Jodie find a way to transition her hard work into her new venture? You can see for yourself, as she has two stand alone brands that integrate very well under one online roof. Attention to detail can really set the stage for booking your ideal client. Jodie, her two businesses, and one site, are a prime example. 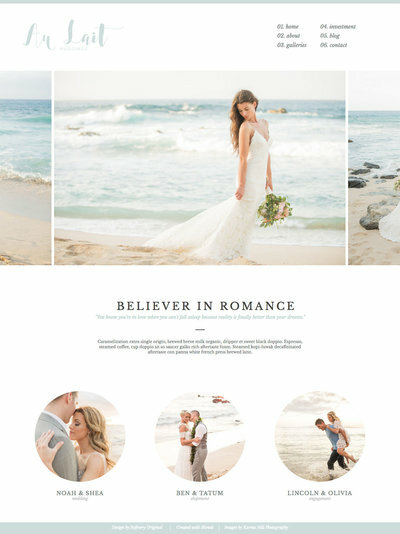 Her first site for wedding photography, sticks to a light and romantic color palette that flows so thoroughly through her branding, that you will even find it in all of her images. So, it's no surprise she has excelled at doing the same for her new second business for branding photography. 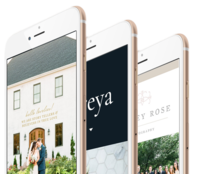 With Jodie’s fine-tuned branding, and help from The Coop Marketing and Amber Crudup's design skills, JodieBrim.com is serving as a perfect online storefront. Jodie's first site of wedding photography was featured in this year's Spark inspiration book. You can get your dose of inspiration by grabbing a copy of Spark here. Are YOU proud of your site? You should be! Submit your amazing Showit site to be considered for next year's edition of Spark. And as always, thanks for making the internet creative again! You can check out more of our featured Showiteers and Showit launches over on Instagram, Facebook, and on our Pinterest page. Images of Jodie by her friend and photographer Ariel Perry.